What are some of the shows you’ve done before the Medora Musical? I’ve been fortunate to work from east coast to the west coast. Maryland is home base but I travel (and live) where the work is! My background is generally musical theatre-based (not country…which I find a refreshing challenge to re-visit each summer.) Just this past year I was onstage in Florida, Virginia, North Carolina, and Illinois in various musicals. The Medora Musical will forever be a fav because it’s simply one-of-a-kind. That we, as a company, are genuinely having a good time! Sure, it’s like being shot out of a cannon some (ALL) nights but, the fun is authentic. As a performer, you find different “moments” to have with your other cast mates, “bits” to enjoy, inside jokes to chat/laugh about while partner dancing or just reacting in the background. Chances are, if you as an audience member see a cast member cracking up onstage about something, it’s the real deal. And probably about something ridiculous. 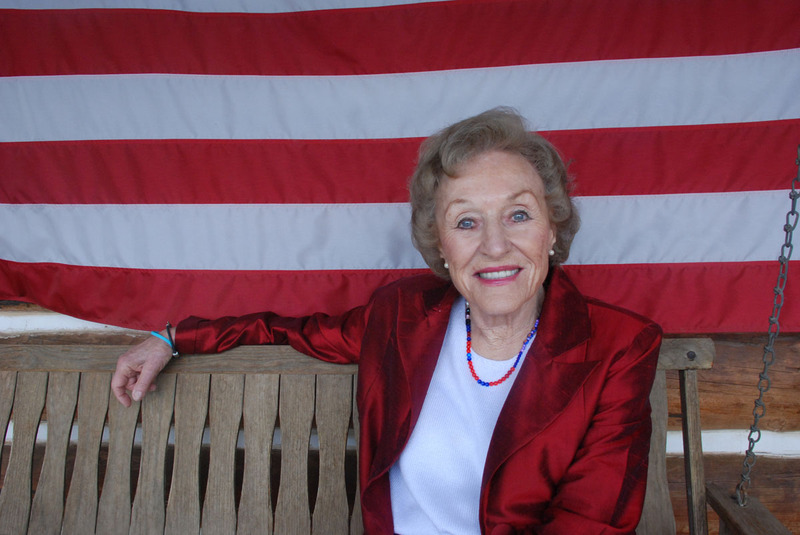 Every summer is a different story with unbeatable memories but an especially vivid one concerns the Queen & First Lady of Medora, Ms. Sheila Schafer. Let me set the scene. With each subsequent year, Sheila came back to Medora looking even more striking. With even more energy than the summer before. Aside from our moments in town together, or having her at the Musical…my most unforgettable memory occurred when I was working part-time in the Reservation Center. I was on the phone with a guest facing my computer when all of a sudden, I felt this huge hug around my back and a big kiss on my neck. I turned around and it was Sheila, coming in to shine her light in our (then) basement office. She struck up a conversation with me…all the while I still had an active headset (i.e. a guest in my other ear trying to make a payment, asking questions about the hotel room, the Fondue, etc.) When I finally finished with the guest, Sheila and I kept chatting for a few minutes…a nice break from the busy day. And this happened AGAIN the following summer!! Who does that?! It was a very happy shift for in the Reservation Center that day for everyone. And that’s just one example of Sheila’s random acts of kindness, paying it forward, and making someone feel like a million bucks. Sheila’s still watching the Musical every night. And I believe she has the best seat in the house. A picture of Sheila Schafer taken between 2011 and 2014. Medora…my favorite get-a-way! I love the place, the Musical, the people, the stories online. I love getting the Rough Rider Review and seeing what is going on in Medora, what changes are being made, stories of special people of interest. Just the thought of Medora stirs up wonderful memories of times spent there, and looking forward to another season of fun and entertainment. Even though it is not possible to be there all the time, it is so great to know that when I can get away, you are there to offer a refreshing experience! Thanks, Medora!! !